When we mention content marketing, we talk about the technique that consists in creating and distributing high-quality content to acquire and engage with a targeted audience, so they can finally purchase goods or services from your company. Content quality is, therefore, a crucial element in your content marketing strategy: you have to provide a relevant answer to the questions your audience ask itself, offer content that is innovative and that has not been written by your competitors or other key players in your industry. Doing this is a true challenge for marketers. Losing our mind over a white page… Posting a piece we’re not happy with because we lacked inspiration and had to deliver no matter what… we’ve all been there. A few weeks ago, we asked marketers from SMBs to Enterprise companies about their content marketing habits. 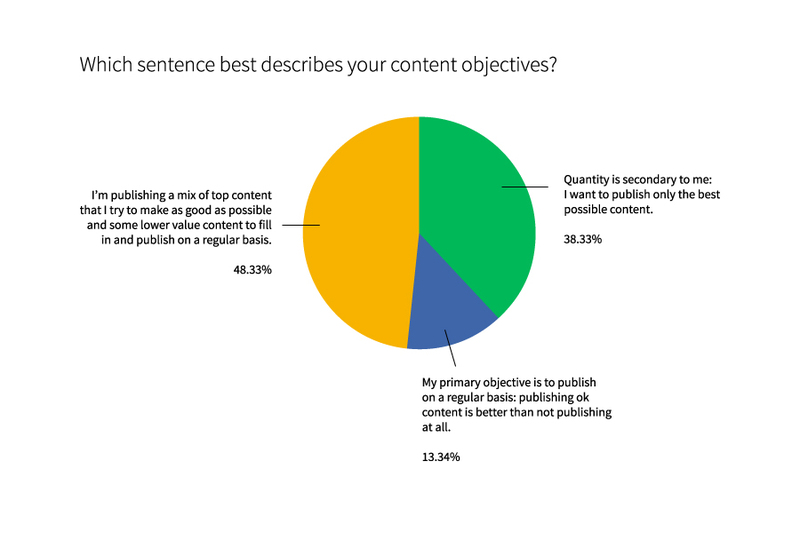 38% of them rather focus on content quality and 48% of them try to mix quality and quantity. 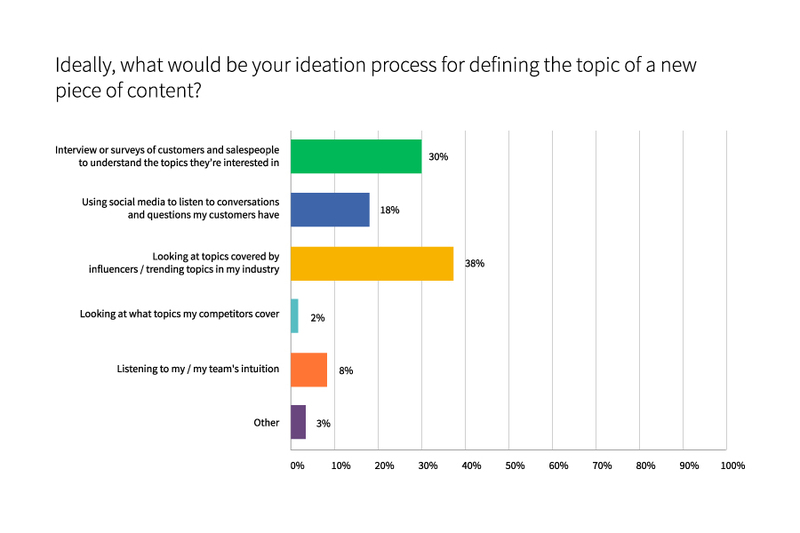 How marketers find content ideas today? Through the same survey, we wanted to understand what was, according to them, the best way to find ideas for their next piece of content. 38% of them would rather get inspired by trending topics and themes discussed by influencers. For 30% of them, their content inspiration comes from interviews our customer-related studies. It is totally possible to find content ideas by interviewing clients or, by reacting to an article you read or a discussion you had. But watch out for bias! It’s a good thing to ask clients if they’re a fair representation of your personas, but unfortunately, that’s not always the case. For business purposes, we sometimes have to accept deals that aren’t representative of our ideal use cases. That also works for the discussions you have with your clients – ask yourself: did I discuss with someone that looks like my ideal buyer? If that person is an SMB consultant and you’re targeting large companies, using insights from him as a foundation for your content could end up being totally counterproductive. That’s why it’s important to give your ideation phase a proper structure. Your content marketing efforts are most likely to be vain if you don’t know your personas. Defining your buyer personas is a great way to avoid failure by focusing on your target audience. Once you identified your target audience, it’s important to know what type of information they are looking for. What are the main questions? What’s the funnel stage? Awareness? Consideration? Decision? 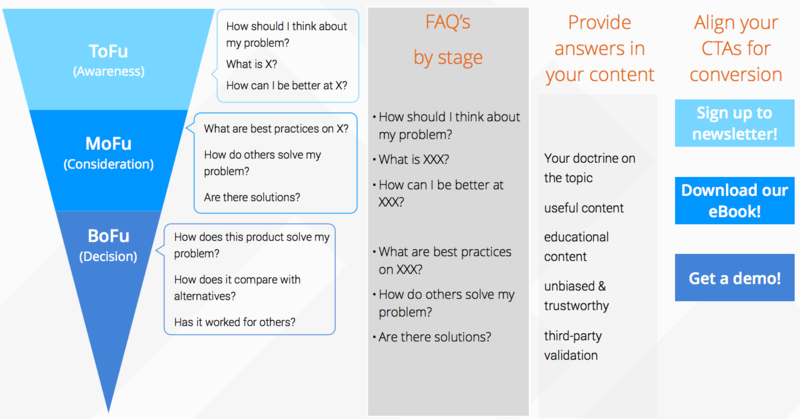 By listing all your persona’s questions, you’ll multiply ideas of content to write about. Doing this on a regular basis is a good way to be ahead of the competition, but it will also help you understand what are their best pieces of content (aka the most shared ones) and try to beat them. 1. Document your content marketing: taking the time to do content research will help you enrich your blog content (or any other format) by adding data, links to similar articles, influencer quotes and so on. That way, you’ll provide the most complete answer and will gain credibility as well as thought leadership. 2. Find influencers and connect with them: you can define who are the influencers in the industry, quote them and get noticed by them. On the long run, this strategy will pay off because you’ll be recognized by your peers and will be able to benefit their audience – especially when it comes to distribution! 3. Know the trends and news in your industry and don’t forget to keep an eye on the competition: you need to know what your competitors are doing, what are the topics they are discussing, how they handle different angles etc. Keep in mind that goal is to increase your share of voice! Don’t get it twisted – researching content is definitely not a waste of time. On the contrary, it’s time well spent to create higher quality content! Content expert Sujan Patel from Right Inbox once said on Content Marketing Institute that taking our time during the inspiration phase is crucial, so we avoid wasting time during the creation phase! Helene is our Marketing Director. After graduating from ESCEM Tours Business School, Helene started her career marketing on the new Yahoo! sponsored search platform. She then joined Maximiles, the European leader in online loyalty marketing, where she managed to significantly grow the membership base. 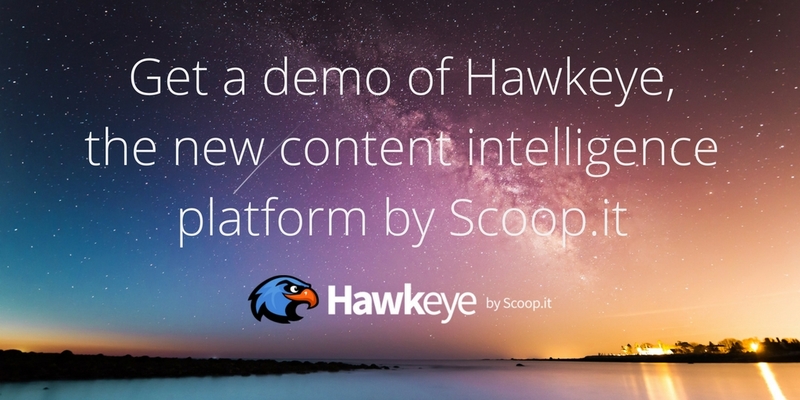 At Scoop.it, she initially led product marketing efforts as well as event coordination before contributing to building our inbound marketing infrastructure. She now leads our demand generation marketing efforts as well as customer success. 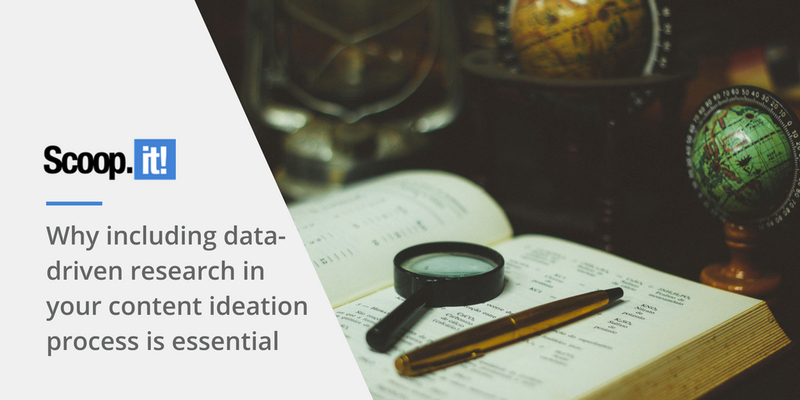 5 Comments on "Why including data-driven research in your content ideation process is essential"